Kevin B Wickwire, 42, made his last wildly inappropriate and sarcastic comment on October 10, 2018. He was born on December 18, 1975 to Wayne "The Beef" and Patricia (nee Hartwig) Wickwire. He graduated from Hoffman Estates High School in 1994. He married the love of his life Jennifer (nee Rosner) in 1997. They have 3 sons, Brennan, Austin and Tyler. He worked for the family business until 2015, when he ventured off on his own to start his business. He lived life to the fullest. 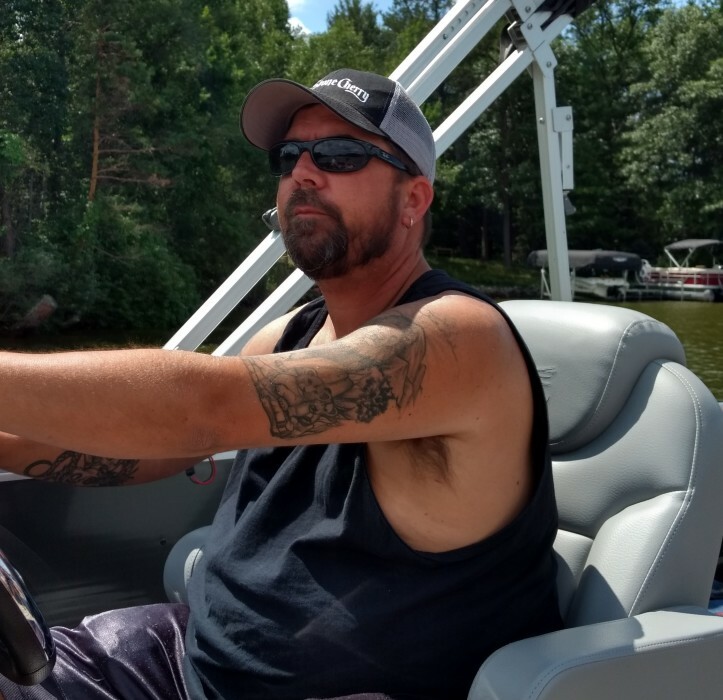 He looked forward to and enjoyed spending time with family and friends in his Bears Cave watching the Bears and Cubs play, out riding his motorcycle on the open road, attending car shows with his cars, hunting, ice fishing and doing what he loved most on the water being on his pontoon and relaxing at his cabin. He is survived by his mother, Patricia; his wife, Jennifer; 3 sons, Brennan, Austin (Marissa) and Tyler. He is also survived by many wonderful family and friends who's lives he touched. Please join us on November 10, 2018 at Salamone's, 103 S. Cherry St., Cherry Valley, IL from 12:00 p.m. to 4:00 p.m. to reminisce, laugh, support each other and of course to have a Captain and Coke to toast a great son, husband, father and friend. There has been a Go Fund Me page set up to help his family during this difficult time.